Tizen is now one grown up mobile operating system with the all must have features. Its app market, Tizen Store is now full of quality apps in every category. In the initial days when I had looked into the store then there were many categories nothing but empty. After the launch of original Tizen smartphones those categories rose to their full marks. It now contains all kinds of apps for every customers, from simple tools to news reading apps and from games to business apps. 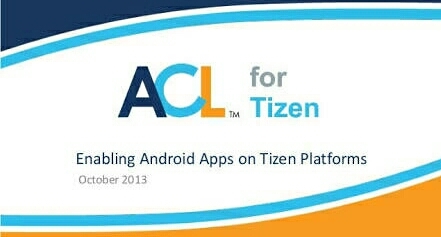 The ACL for Tizen tool has helped Tizen to get all those apps from Android & iOS which were dreams for customers. With the help of ACL for Tizen, many apps and games entered into store. In the beginning only few apps got its benefits and now plenty of apps come to Tizen using this tool. Here, I will give you the full list of best ACL for Tizen supported apps from Tizen Store. These apps available on Samsung Z4, Samsung Z2, Samsung Z3 and Samsung Z1 mobiles. Most downloaded app using ACL for Tizen and still counting. SHAREit launched in 2015 by the team to share content from one device to another. Most loved casual game on every platform. It is must play game on the smartphone. Angry Birds is famous in every age group. It is available for all Tizen devices. The third party browser for Tizen phones, mostly used by Indian users. It is second popular browser app in usage after default one. It is simple, secure and fast tool to use. MX Player is best video player in store, loads each and every video formats. Play all kinds of videos without any hiccups. Best companion to VLC Media Player App on Tizen phones. Flipkart is online shopping app for Indian customers. Flipkart is biggest online retailer in India and this app will help its users to buy any items. UC News is reading app by the UC developers, who launched UC Browser and UC Mini Browser apps. UC News will give you sorted trending news from all across the world. Get meaning of each and every words of English. It is best tool to find out exact meaning of particular words. Also find synonymous, anonymous and pronunciation of words. If you want to save some data but don’t want to use UC Browser then this mini version will help you. It will compress all the pages from website and save lots of data. The drawbacks is it will avoid some important stuffs from specific pages that might matter to you. Still choice is yours, choose as per your need. The list will goes on if we mention some other apps from store. You can use these apps on all smartphones. Just remember to install these apps on your device you must first download ACL for Tizen app. It is pre-installed on every devices, but if by accident you deleted it then download it back. The absence of ACL for Tizen on your device will cause interruption to other supported apps so don’t uninstall it. You will get new updated version of it from the Tizen Store. Share this article on Facebook with your other friends so they should know it. Mujhe uc browser chahiye install karti hu ,par nahi hoti please install kar dijiye . My samsung z2 tizen mob. Par uc browser, acl app, sherit & games downlod kar dijay app menijar sahab please. Samsung z2 phone tizen stora ACL app Download dita par ci na. Uc browser & acl for tizen open in mobile enebel to downlod. This is not duplicated . What is wrong with this tizen phone,it cannot open tizen store and network irritating,you can’t even download anything.